You work hard to earn your money and want to keep it safe. With so many options for investing, how do you find out which one is the best for you? If you are interested in a money market account, continue reading to find out if it is right for you. A money market account is a type of savings account. The minimum deposit and balance required on a money market account is usually higher than a savings account, but the payoff is a greater interest rate. Some accounts may require the balance to remain at a minimum. In a money market account, your money will earn you more than a traditional savings accounts. The minimum deposit to open an account is set by each bank, but can range from nothing to €5,000 or more. Keep in mind, banks with a lower starting balance may not provide the best interest rate. Am I limited to a certain number of withdrawal or transfer transactions? Typically there is a limit on the number of transactions, but this limit is often times greater than or equal to a savings account. Many banks limit you to six transactions per month which falls in line with the regulations set by the Federal Reserve. Some money market accounts work in the same manner as a checking account giving you check writing privileges as well as access to a debit card for withdrawing money. Use it too much (over 6 times in a month) and your account risks moving to a checking or regular savings account. Are money market accounts free? Some banks charge a monthly service fee. As long as you have the minimum deposit amount, there is usually no fee to open an account. Are there fees or penalties for withdrawing money? This depends on the bank you chose. Some banks charge a service fee for each transaction over the limit. Some charge a fee if your balance drops below the minimum or even a monthly service fee. Fees and penalties vary and it is best to check with your bank to see what their policy and fees are. Yes! 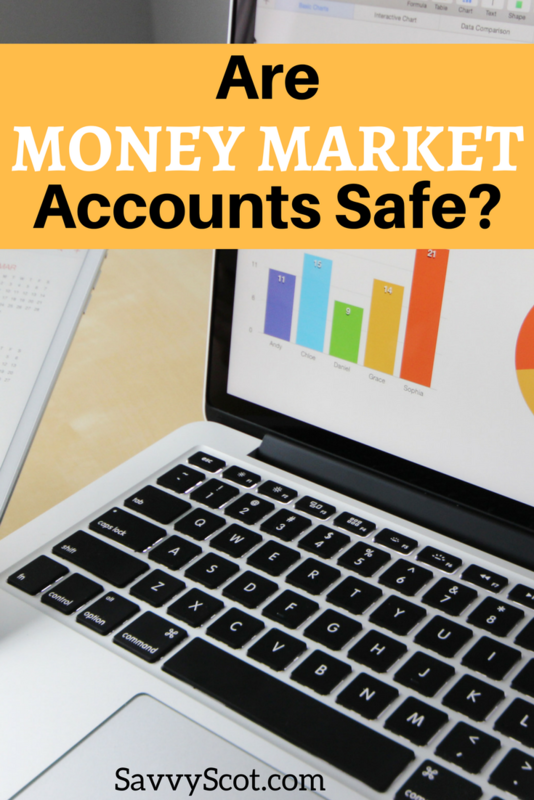 Money market accounts are just as safe as a savings account. Deposits made and interest accrued is insured by the FDIC. The amount covered is up to the maximum amount allowed by the FDIC. Am I penalized for closing my money market account? While some banks may charge a fee for closing an account, the majority of banks do not penalize you for closing an account. Are money market accounts taxed? Interest received in a money market account is considered taxable. Is online banking available with a money market account? Many banks give you access to online banking allowing transfers and deposits to be made anytime, anywhere. Can a money market account be used as a long term investment option? Money market accounts aren’t typically thought to be long term investments, but it is something worth looking into. With a large amount of money in a money market account long term, you could be looking at earning a great deal. Money market accounts are typically used to park large amounts of money until something else is decided for those funds. If you are looking for a high yield account for your savings, consider looking into a money market account. Before you decide to park your money in a money market account, shop around to see which banks offer you the most for your money.